Eli Gras – Grass Velvet | Esc.rec. Available formats: Box (in an edition of only one!) that contains the electro-acoustic instrument and the 12″ vinyl record by Eli Gras and/or an unlimited digital download. 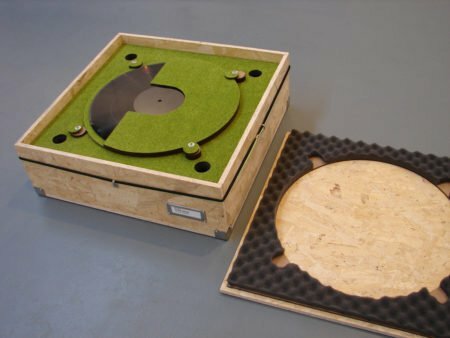 ‘Grass Velvet’ is the title of a 360º sound-object release in the Esc.rec. Sediment series. In an edition of one. 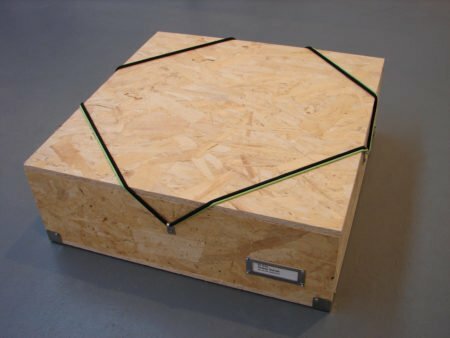 Eli Gras created a wooden box that contains a small electro-acoustic instrument (a ‘floating bridge harp’), made in residency, with improvised materials, at De Perifeer (2015) and in Barcelona (2017). 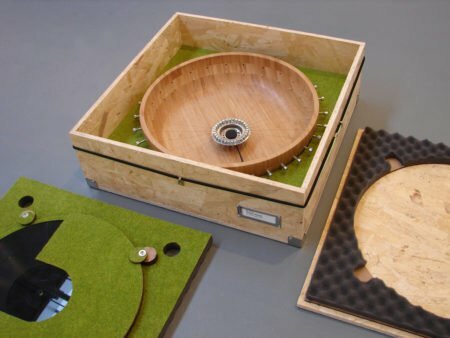 The box also contains a 12″ record, with a recorded piece of music, using only the sounds of this instrument. 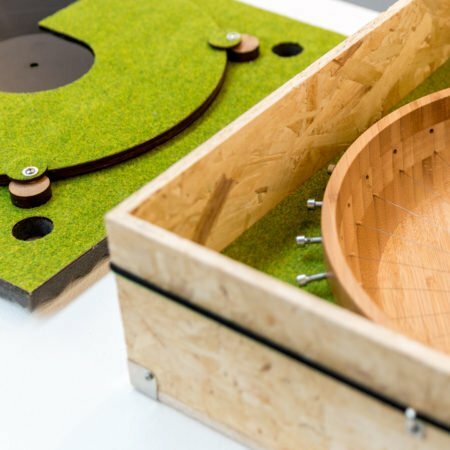 The box is designed to hold and protect both items – record and instrument – as a vehicle, being part of the work, not just a container. The title ‘Grass Velvet’, mainly refers to Gras’s idea to turn the object into a sort of landscape by adding diorama grass. Eli Gras was invited to take part in this residency project by record label Esc.rec. and mini-venue De Perifeer. The residency was intended for her to work on a new music instrument which was to be part of a live performance ánd a limited edition release in the Sediment series. She used materials available in normal hardware and decoration stores (like a salad bowl, a sink filter, allen screws and iron wire), nothing too technological or too complex, a work of proximity. The result was a beautiful harp that allows circular playing. Extremely sensitive sounds are amplified via a contact microphone connected straight to the bridge. Just after the instrument creation, Eli Gras performed a concert in De Perifeer, including the newly made harp in her usual music set-up, as a presentation and a first exploration of it’s sounds. 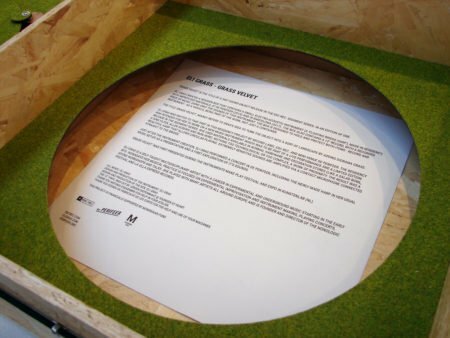 ‘Grass Velvet’ was first presented during the Instruments Make Play festival and expo in Kunstenlab (NL). Eli Gras is a self-taught multidisciplinary artist with a career in experimental and underground music starting in the early 80’s. Nowadays her musical practice is focused on experimental improvisation and instrument making, playing concerts, giving workshops and talks. She played with many artists all around Europe and is founder and director of the NoNoLogic Festival and La Olla Expréss records.